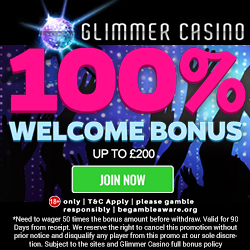 At Charming Bingo deposit £10 and you'll get a 200% bonus, plus the opportunity to spin the wheel for prizes up to £2,500. Car Boot Bingo has sweet car graphics, amazing games and generous bonuses, but it's the £15 bonus that will entice you. 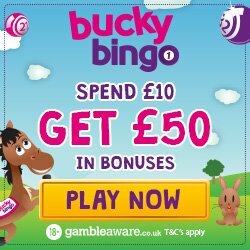 Cheeky Bingo is a well known name in the bingo world and with £10 bonus when you register, you can understand why. 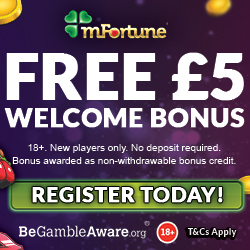 Comfy Bingo is the perfect site for snuggling on the couch and playing top gaming with £15 credit when you register. Champagne Bingo adds a touch of luxury to your bingo time, with a 150% cash match bonus on your 1st deposit. Caesars Bingo combines amazing regular promotions with top quality gaming and welcome bonuses. There's plenty of daubing at Carlton Bingo, plus you can enjoy a 200% 1st deposit bonus and a spin of the bonus wheel. Clover Bingo is a fun site themed on leprechauns and 4 leaf clovers, and offering amazing bonuses and high quality games. With all the glamour of a celebrity magazine, Gossip Bingo is the ideal way to scratch your bingo itch. Cupcake Bingo is the sweetest and coolest site, with great games, bonuses and promotions available. Candy Shop Bingo promises to bring you the most exciting bingo and a 300% bonus on your 1st deposit. City Bingo is the perfect gaming site for those of you who like to roam, because it is available on your mobile devices. Come one, come all and head to Circus Bingo, where you'll see incredible games, bonuses and exciting promotions. Clucky Bingo is a funky site based around a hen house, where colourful chickens guide you to a great range of games. Charity Bingo not only offers a great gaming experience, but the ability to give to some amazing charities simply by playing. At Cheers Bingo you can enjoy a generous welcome bonus and get access to some amazing bingo games and mobile slots. Champers Bingo start the fun with £10 bonus credit when you register, to try their many games. Costa Bingo is a well-known brand within the online bingo community, so check out their 300% 1st deposit bonus.